Mega Dough Testimonials - Mega Dough Fundraising - Simple. Profitable. Creative. At Mega Dough Fundraising, we pride ourselves on great programs and huge profits! Just take look at a few of the testimonials given by our customers. Thank you Mega Dough for all the help you gave the Gretna High School Dance team during our cookie dough/popcorn fundraiser! Your staff was AWESOME to work with! We look forward to working with you again next year! The Hononegah High School JV Drill Team has participated in a fundraiser with Mega Dough for the past five years. We usually sell cookie dough, and our team really enjoys it. It is an easy seller regardless of when you choose to do your sale. We sell it during the summer time, and we always meet our goals as a team! This year, we sold over 375 tubs of cookie dough and profited approximately $2000! We are able to order our uniforms for competition season as well as all of our supplies, and the girls are so excited about it! The cookie dough is delicious, stores easily, and our delivery driver was courteous as well. The delivery was smooth and quick, and our order was completed perfectly! Our parents were amazed by Mega Dough’s willingness to sort our order by student, and that made it enjoyable for everyone! Thanks again, Mega Dough! I just wanted to thank you very much for your help and patience. The fundraiser was a complete success and I owe it all to you. Thank you again and have a great Christmas and New Year! Well, once again this years cookie dough fundraiser was a huge success! Thank you so much for providing such a wonderful fundraiser for our students and school. The cookie dough is fabulous and sells itself ! This fundraiser has provided our school with $7000+ in profit and is such an ease to organize and put on ! The customer service is second to none. The entire staff is so helpful, friendly and accommodating, especially our representative, Kim Manning – she is a true gem ! I have worked with Kim for 4 years now and feel like I have not only met a top notch representative but also a great friend. Mega Dough Fundraisers are an ease to organize and sell and are very profitable, I would highly recommend Mega Dough Fundraising to anyone wanting an easy, profitable fundraiser ! Thanks again for a great year, see you Next Year !!! Thank you so much for providing such wonderful fundraiser items for my students to sell. The cookie dough is "very yummy" and there are so many wonderful flavors to choose from! 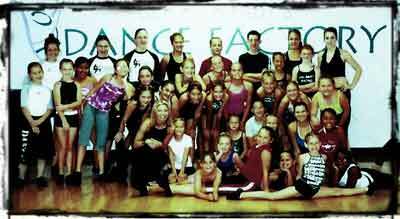 Each year, my dance students profit several thousand dollars to help towards dance competitions. We thank you for conducting your services on such a professional level and for providing new items to sell each year! We look forward to working with your company for many more years. The Parks Parent Student Teacher Association (PSTA) has been selling Mega Dough Fundraising Gourmet Cookie Dough for 5 years. This is our biggest fundraiser and our profits have increased each year. In two weeks time, we profited over $9,000.00! 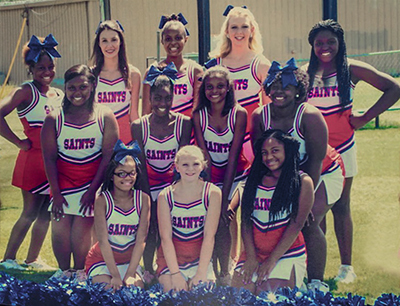 We have approximately 370 students at Parks with only a little over half of our students participating. Just think of our profit potential if we could get all the students to participate! Our customers have always been pleased with Mega Dough Fundraising cookie dough and often call wanting to know when we will be selling again! Our parents insist we sell Mega Dough! 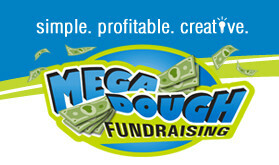 Parks definitely recommends Mega Dough Fundraising for your next fundraiser because the products are easy to sell and the staff at Mega Dough Fundraising are always willing to help. For instance, our fundraising consultant...stays in constant communication with us (me specifically as the project chairman) by email and phone. He calls to check on our project, answer questions, follow up to my messages, and generally encourage our fundraiser. This open communication helped us tremendously. We would like to thank Mega Dough Fundraising and our fundraising consultant... for a wonderful fundraiser! Our school, East Wake Academy has sold Mega Dough Fundraising products for the past three years. We have enjoyed increasing sales and profits every year! The entire staff at Mega Dough Fundraising is always ready to help with any questions or concerns that may come up during the fundraiser. I highly recommend Mega Dough Fundraising programs and products to any organizations who is looking for a fun and profitable fundraiser! Thank you for being an outstanding Sales Rep. You have been so great to work with! You have been #1 at getting back to me during our cookie dough fundraiser, unlike other companies who failed to respond with the information I needed. That is why I went with your company, so you keep up the good work!!!!! I will be doing business with you again with several other organizations in 2007. Thank you for being so wonderful to work with. Mega Dough Fundraising will assuredly have our business again! View testimonials from our fundraising programs.